Should Investors Worry About CEO Risk? Sometimes, brilliant people do painfully dumb things. “They’re too smart for their own good,” as the old saying goes. We live in an age dominated by social media and 24-hour news. That means tweets, posts and shares can instantly go viral. In turn, a gaffe or flawed response from even the smartest person can quickly become a public relations nightmare. And often, investors end up bearing the brunt of it. 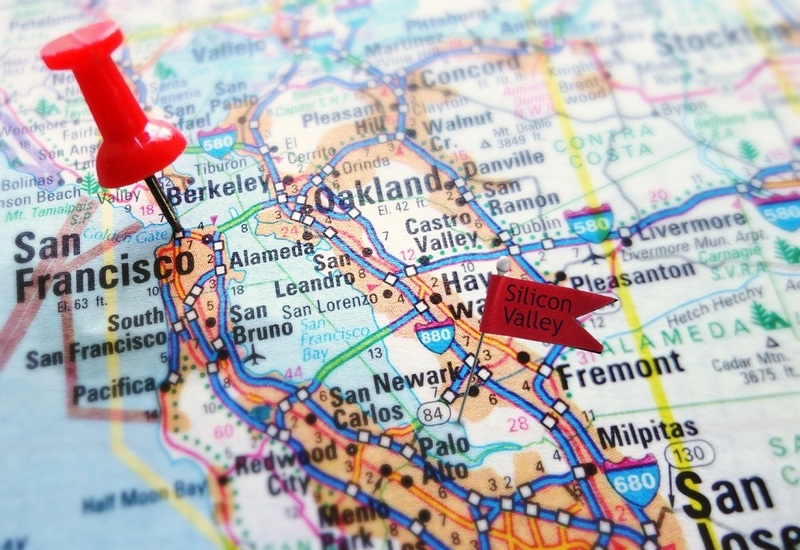 Silicon Valley’s “rock star” CEOs have emerged as the poster children for “foot in mouth” leadership gaffes. Offhand - and often stupid - utterances by these leaders can impact stock prices and stockholders. This was his attempt to swat away growing privacy concerns about Google. The search engine holds a treasure-trove of data on users - from fetishes to funguses. And Google will gladly share this data with anyone for a price. In 2015, weeks before the IPO for Match Group (Nasdaq: MTCH) - the parent company of dating app Tinder, among others - CEO Sean Rad made several cringeworthy remarks... the contents of which we shouldn’t publish here. In response, Match immediately released a filing with the SEC saying Rad didn’t speak for the company. At the top of the list is the data scandal surrounding Facebook (Nasdaq: FB). Initially, concerns were met with a nonchalant response from the 33-year-old CEO Mark Zuckerberg. To him, it appeared Cambridge Analytica’s misuse of 87 million users’ data wasn’t that big of a deal. After days of remaining mum on the ordeal, the company was eventually forced to release the Mark Zuckerberg and Sheryl Sandberg robots for an apology tour. As public outrage bloomed, Facebook quickly rolled out a litany of new tools and settings that let users see how their personal data is accessed and by which advertisers. The backlash led to a very public Congressional hearing that relieved investors because it showed that since Congress didn’t really understand the situation, any new regulations would likely be minimal. Now Facebook is slowly slipping back out of the spotlight as public enemy No. 1... but not before a slew of social media and tech CEOs took to ragging on the company. One of those included Tesla (Nasdaq: TSLA) CEO Elon Musk, who deleted the Facebook pages for Tesla and SpaceX following the Cambridge Analytica scandal. 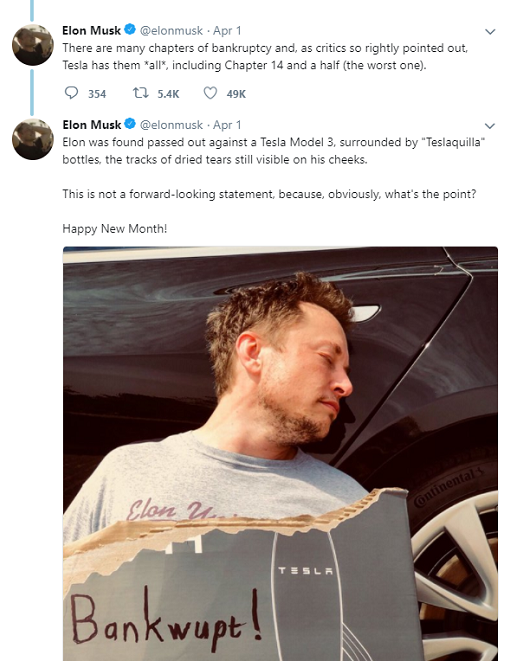 But less than a week later, Musk sparked his own social media controversy. Of course, there might have been some humor in it if Tesla wasn’t under scrutiny after a biker was killed by one of the company's autopilot-enabled cars. Instead, it just added to the belief that Silicon Valley CEOs are tone deaf... and pose real investment risks. 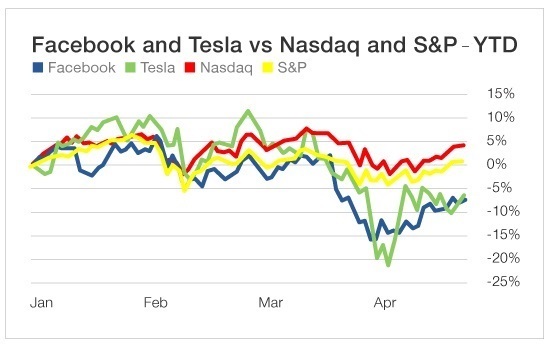 And despite the hype, over the past two years, Tesla shares have trailed both indexes. Thankfully, for the most part, CEO risk is a short-term dip. And for the brave, it’s an opportunity to swoop in and snag shares at a discount. Because if the CEO does anything too damaging, they will be quickly shuffled out the door. Just ask Steve Wynn... or any of the 21 other executives that we said goodbye to in 2017. The #MeToo movement had its impacts - as did plain old corruption, fraud and incompetency. Who can forget the Equifax (NYSE: EFX) hack and subsequent response that forced then CEO Richard Smith to take an “early retirement”? Do you remember when, as General Electric (NYSE: GE) struggled to rein in costs, former CEO Jeff Immelt had a second private jet (paid for by GE) follow his own private jet on business trips... just in case his first jet broke down? In an era of fast news and even faster tweets, CEOs can pose an even greater risk to shareholders. Because even the smartest people can be guilty of saying and doing very dumb things. Today, shares of Equifax and GE are still in the toilet, while Facebook and Tesla are rebounding. Shares of Match are up more than 220% since its IPO in 2015. And shares of Google (now Alphabet) have risen more than 500% since 2009. It may take an executive a lifetime to build a good reputation but only moments to destroy it. Good companies on the other hand, will ultimately thrive. Asking whether you'd rather buy the flashy tech company or the company that supplies the flashy tech company is akin to asking whether you'd prefer a nice house in a bad neighborhood or an ugly house in a good one. The "Second Electric Revolution" is underway. And this revolution is quickly becoming a world-altering phenomenon - the likes of which the planet has not seen since Thomas Edison demonstrated his new electric street lights in 1879. The electrification of personal transport, combined with the growing deployment of energy storage systems, is a major trend that will be unfolding over many decades. I focus primarily on the companies that are providing essential resources to the electrification boom. Most of the companies that fall into this category are mining companies like Glencore (OTC: GLCNF). Next-generation electrification technologies require large quantities of metals like lithium, cobalt, copper, nickel and vanadium. The average electric vehicle (EV), for example, contains almost half as much copper as the average American house. That's why, generally speaking, I believe select "low tech" mining companies like Glencore provide a better play on the electrification boom than "cutting edge" companies like Tesla. In fact, I've been repeating that exact message for several months. Eight months ago, I gave a presentation to an investment conference in Vancouver, Canada, in which I urged the attendees to sell Tesla stock and buy Glencore stock. I pointed out that the two companies possessed a nearly identical market value of $54 billion but predicted their paths would soon part. Tesla burns billions of dollars each year. Glencore earns billions of dollars each year. Tesla is a high-flying "story stock" that faces intensifying competition. Glencore is a low-flying "fallen angel" that faces dwindling competition in most of its major commodity markets. As I hoped and expected, Glencore's stock has outpaced Tesla's during the last eight months. Today, Glencore's $71 billion market value is 70% greater than Tesla's! I'm still a fan of Glencore as a one-stop play on the Second Electric Revolution.